Short of new items to post during the busy weekend, I’m taking a step back into the memoir past. It’s what I had to write before getting on to fiction. With fits and starts, the fiction will be coming this year. You may or may not gravitate to memoirs, or mine in particular. But between what you see here on this blog and what you can find in the memoir is voice and style. The fiction I put out this year may not match the memoir in intensity, but it will match the writing. Here’s a small overview and a couple snippets. For more, see the extended sample on the Waiting for Westmoreland page here on this site. BTW: comments are always welcome, as are shares, reblogs or tweets. Westmoreland? Yes, that Westmoreland–the four-star general from the Vietnam War. But it’s a memoir about me not him. You will understand the title as you get midway into the story. One’s life is a tapestry of cause and effect. Choices we made years ago affect opportunities presented today. 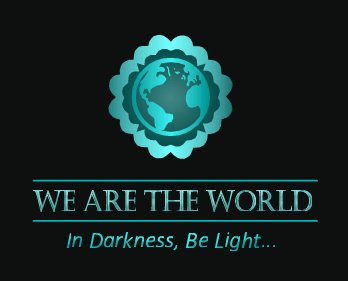 Responses to events today, influence the future. Prologue — The Threat, the Opportunity “If the two of them get married or I find the two of them together, I’ll kill the both of them.” It was the week before Thanksgiving, 1979, when a shaky-voiced Juanita called to pass along her father’s plans for us. At least that is what she overheard him telling her brother. “He’s just saying that, right?” “Maybe, but we need to take this seriously—he has a gun in a safe at home,” she said, a tremble of fear in her voice. “But he wouldn’t really do that, would he?” No way, I thought. “So what are we going to do?” I asked, my disbelief finally fading. “We could still see each other at activities,” she added, hopefully. I spent my first 11 years living in a small stucco house in Minneapolis, the second one in from Humboldt Avenue, where the first block of Victory Memorial Drive began. The mile-long boulevard commemorated America’s successful end to the First World War. How odd it seems to me now, growing up on a street by that name. My war, Vietnam, had a somewhat different conclusion. It would leave me not a sense of victory but one of loss, both for my country and for myself. My parents bought the house new, in 1929, 18 years before I was born. No longer new by my time, the blackened walls of the former coal bin were now just a reminder of an old furnace that once warmed the dwelling. The detached garage at the end of our small back yard had a current-leaking rotary light switch that would give a mild shock on rainy days. A dirt alley next to the garage separated us from an out lot next to the Soo Line tracks. Further back was a switchyard, with engines shuttling boxcars back and forth most days of the week. Through trains rumbled by during the night, with steel wheels clicking and clacking on the rails and whistles sounding in advance of the grade crossing at Humboldt Avenue. I slept through the sound, growing accustomed to it much as I later would the sounds of distant artillery and helicopter gunship fire during Vietnam nights, waking only when the battle grew too near. Except for the trains, it was a quiet enough neighborhood. At least I thought so. I was eight or nine years old when my mother read me a newspaper report about a gruesome murder. The killers had dragged the cook out of the Bandbox, a burger joint in Camden, a tiny business district in north Minneapolis about a mile from our house. 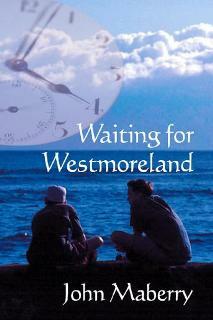 Waiting for Westmoreland is available as an eBook from Amazon, Apple, Kobo, Barnes and Noble and elsewhere. It’s also available in paper online from most booksellers.